Have you ever experienced regret? That feeling that you wish you made a different decision, or wondering what life would be like if you chose the other option. 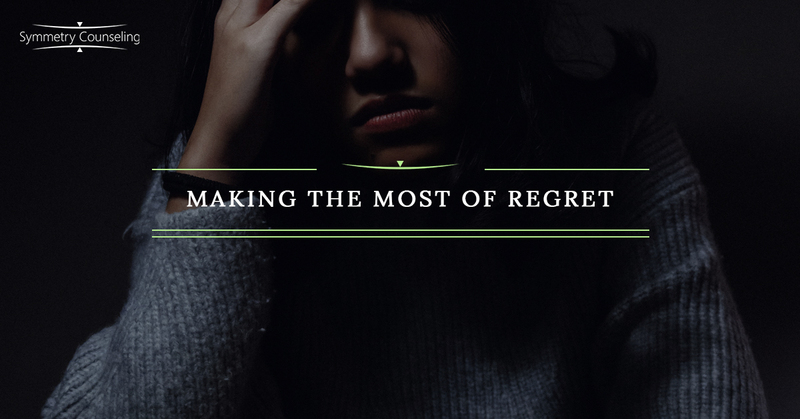 As a therapist, I often see clients who have experienced these feelings of regret, and as a human, I have made choices that I have later regretted. While many people are able to recall a time in which they experienced regret, often times, we do not make the most of that experience. I recently read an article in the New York Times written by Jennifer Taitz that considers taking the negative feelings of regret and using them to improve ourselves. According to Taitz, dwelling over regret “…has a negative impact on mood and sleep, it can increase impulsivity, and it be a risk factor for binge eating and misusing alcohol.” If you find yourself dwelling over regret, Taitz recommends six steps to turn it around, and make the most of that experience. When you feel regret, what is your experience like? Do you find yourself looking for distractions to avoid your feelings? Or do you soak in the regret and think through every situation that could have been? According to Taitz, by doing these behaviors, your negative feelings may stay even more present and vivid, and may limit the ability for you to feel happy. Taitz recommends finding a gray area between avoiding feelings and dwelling on feelings, and use that area to move forward. Taitz recommends repeating these phrases to yourself when revisiting your regret. These phrases may be able to help you focus on what you could gain from these experiences, and work to minimize the negative impacts of ruminating in regret. When you feel regret, take that opportunity to determine what your emotions are attempting to communicate to you by working backwards and discovering what core values are those experiences touching on for you. Once you are able to identify those things, you can use that knowledge to move forward and continue to grow. With all of this new knowledge, take action and determine how to remedy what is causing you regret. You have learned a lot about yourself, and it will be helpful to use this information to your advantage! It is normal to experience feelings of regret, and when we do, we should try turning it into something constructive to our well-being. If you are struggling with making the most of regretful experiences, it may be helpful to connect with a therapist. Contact Symmetry Counseling today to get in contact with one of our talented clinicians!